Parkinson’s disease is a neurodegenerative disease that is caused when naturally occurring proteins fold into the wrong shape. While calcium helps to build and protect your bones, excess levels of the mineral in brain cells may lead to the formation of toxic clusters that are the hallmark of Parkinson’s disease, finds a study. 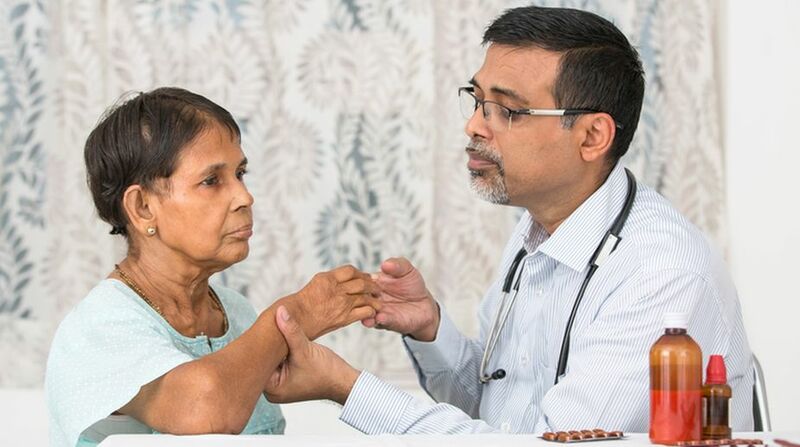 Parkinson’s disease is a neurodegenerative disease that is caused when naturally occurring proteins fold into the wrong shape and stick together with other proteins in the brain, eventually forming thin filament-like structures called amyloid fibrils. These amyloid deposits of aggregated alpha-synuclein, also known as Lewy bodies, are the sign of Parkinson’s disease. The study found that calcium can mediate the interaction between small membranous structures inside nerve endings — important for neuronal signaling in the brain, and alpha-synuclein — the protein associated with Parkinson’s disease. “This is the first time we’ve seen that calcium influences the way alpha-synuclein interact with synaptic vesicles,” said lead author Janin Lautenschlager from the University of Cambridge. “We think that alpha-synuclein is almost like a calcium sensor. In the presence of calcium, it changes its structure and how it interacts with its environment, which is likely very important for its normal function,” Lautenschlager added.